Darn. I just read another report about a work related death. It saddens me to read these types of stories. One incident is one too many. The 12th Michigan worker death of 2016 occurred on July 26, 2016. Employers and employees are urged to use extreme care and safety diligence in all work activities. The information below shares preliminary details about the most recent fatalities reported to the Michigan Occupational Safety and Health Administration (MIOSHA). The description reflects information provided to MIOSHA at the initial report of the incident and is not the result of the official MIOSHA investigation. Preliminary summary of incident: On July 26, 2016, a 58-year-old carpenter was bracing a parapet wall when he fell approximately 44-feet to the ground. The employee was taken to the hospital by EMS. The employee died due to injuries received. Ideal Shield manufactures products to ensure people stay safe. That is what we care about more than anything else. We want all workers to finish each day and go home to your family and friends. Please, everyone, be aware of your surroundings at all times. Take precautions even if you may believe there is no need. If it seems potentially hazardous, make sure you are safe. Please. I’d love to never read another report like this again. 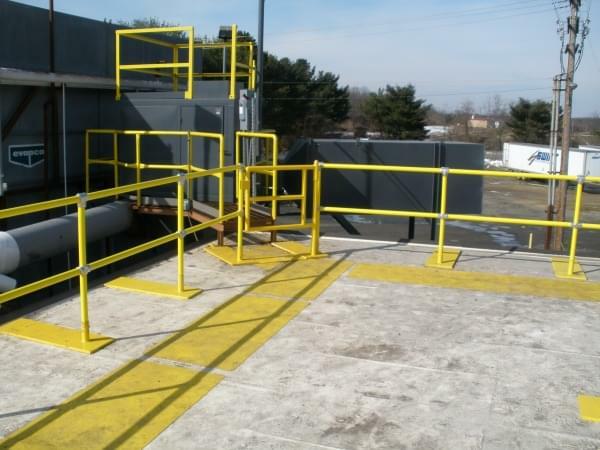 For more information on Ideal Shield’s roof railing and protective systems, contact us today.